The primary goal of bio-control is to optimize pest management in an economically sound, socially acceptable and environmentally friendly manner. Contrary to the initial perception that bio-control was optional and only applied to suppliers accessing certain direct markets in Europe, the past decade has seen a steady growth of bio-control across the Kenyan horticultural industry resulting in massive reduction in pesticide inputs. While stricter local and international regulation of pesticides have certainly played a part in this current state of affairs, greater flexibility and practicability of bio-control on the day to day farm operations are equally important. IPM practitioners must continuously innovate and adopt specific techniques to judiciously manage pests in a sustainable way. One of the techniques gaining immense popularity is hot spot treatment. A hot spot is an unusual pressure point with relatively higher pest population in relation to homogeneity of its distribution on a crop. Hot spot treatment has been singled out as one of the viable methods of managing costs, reducing pesticide residues levels, countering secondary pests (e.g. mealybugs) outbreaks, managing resistance and ultimately producing quality flowers free of pests and diseases. Dudutech pioneered this technique in partnership with DANIDA scientists in a study done in one of the Kenyan major horticultural farms. In the greenhouses where hot spot application of PHYTOTECH® (Phytosieulus persimilis) were done to target red spider mites, quicker control was achieved with fewer numbers of the bio-control agents (Phytosieulus spp) introduced compared to where blanket applications of the same were done. It was also noted that mortality due to sprays targeting other pests was minimal as the treated spots can be avoided. Another benefit observed was in the management of other pests especially mealybugs. 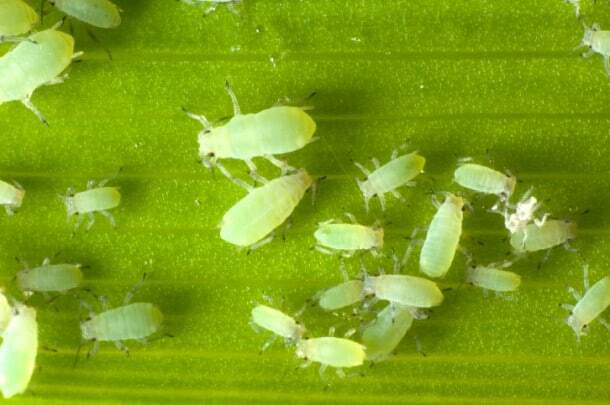 Mealybugs share the same host niche as red spider mites in relation to crop canopy and have recently emerged as one of the most difficult pests to manage due to their complex physical characteristics. Growers have the option of spot spraying mealybug spots with their products of choice continuously without fear of suspending or affecting their bio-logical control programme unlike the blanket sprays. On a number of field trials done in different flower growing regions in Kenya, the hot spot concept has successfully wiped out the issue of intermittent use of Phytoseiulus spp due to what is perceived as secondary pest infestation. Growers on massive hacterage have also gotten a reprieve due to the quantities applied per area treated against the actual projected blanket treatment. This has resulted into unusual demand for Biological control agents and eroded the element of cost. Another hidden benefit related to this concept is the opportunity to integrate other biological control agents with minimal cost and greater benefits. In conclusion, I can assure growers that with the adoption of the hot spot approach, one can effectively achieve satisfactory pest control saving up to 40-60% of their IPM budget. Patience, commitment, trust, precise scouting and the will to invest remain the key pillars of a successful IPM programme.